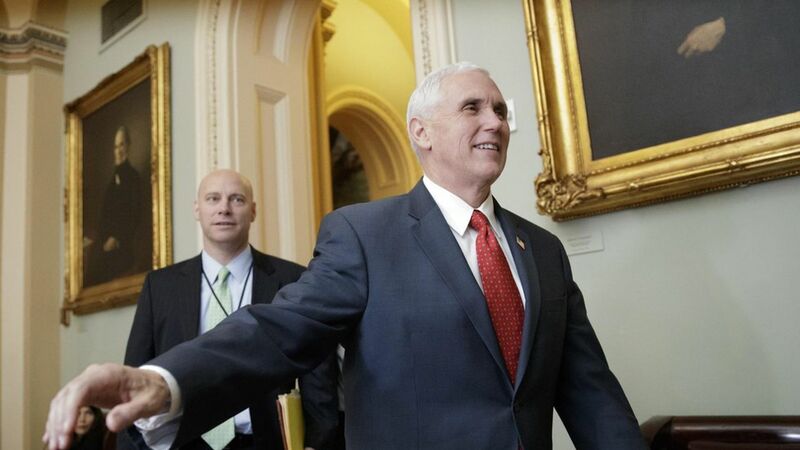 Vice President Mike Pence cast a tiebreaking vote in the Senate today that rescinded an Obama-era regulation that prevented states from denying federal funding for family planning to health care providers that provide abortions, per the WSJ. The regulation was designed to protect Planned Parenthood centers in states like Texas and Kansas, but Republicans argued that rolling back the rule doesn't cut any funding dedicated to women's health. In a statement, Senate Majority Leader Mitch McConnell said: "On its way out the door, the Obama administration issued a regulation that prohibited states from allocating certain health prevention funds in the way that best serve local communities." Senate Minority Leader Chuck Schumer said the move "would let states treat women as second class citizens." The two Republicans that broke ranks? Susan Collins (Maine) and Lisa Murkowski (Alaska).